After a longer-than-anticipated gap of just under three months, Cute Cat Friday (and this blog) are back! Longer posts will resume shortly. We are settling in well to our new home in Toronto, Canada. 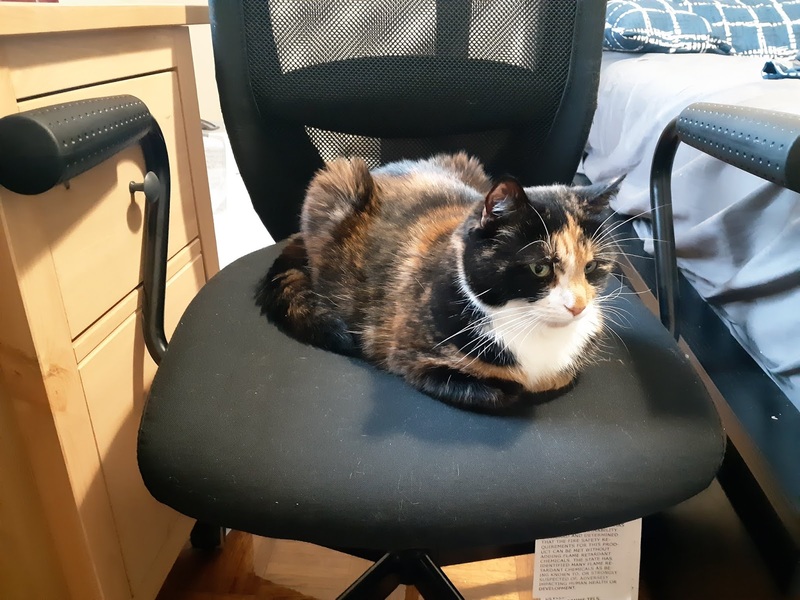 Joni seems happy as an apartment-dwelling cat and has claimed her rightful place in my desk chair.